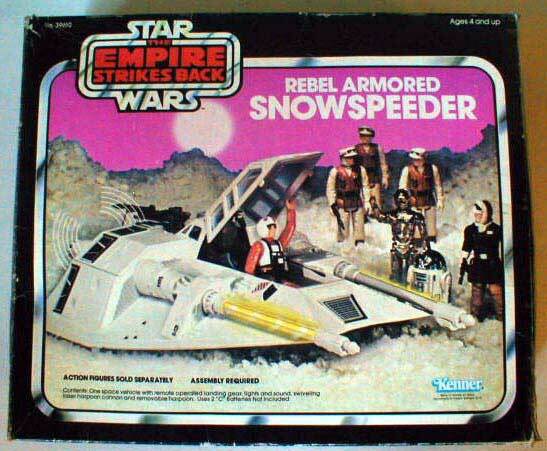 At first glance this may look like an ordinary ESB boxed Snowspeeder, however exciting characteristics exist in this piece. It is referred to as a Quality Control (QC) sample. Items of this nature are utilized for approval by quality control engineers to determine if the final product meets specific criteria in terms of packaging, toy quality, etc. The box portion shown above clearly conveys the presence of a quality control sign-off sticker. These stickers vary in design from simple white labels to index cards to more detailed stickers, like the one seen here. This last photo takes a closer look at the sticker itself. More often than not a signature is present on the label, although this sticker contains no signature or additional written information. 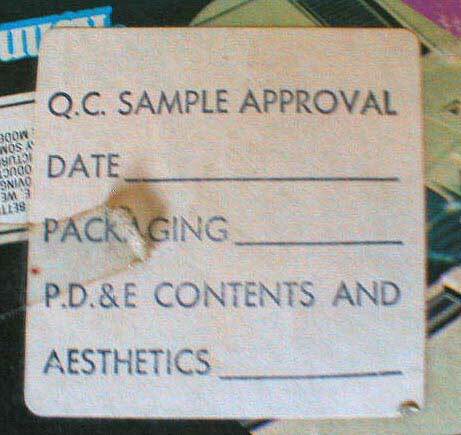 Other details often found on the QC stickers include the date in which the toy was examined and approved or notations pertaining to unsatisfactory portions of the toy and/or packaging that were discovered. Quality control samples for vehicles and playsets, although not impossible to find by any means, seem to have shown up with less frequency than QC sample carded figures, so seeing this piece is a treat.